Custom Media Options specializes in creating one-of-a-kind, targeted communications solutions designed to differentiate you from your competition. From concept to successful implementation—including print, design, media planning, web development, editorial, advertising sales and magazine custom publishing—our years of experience and the mastery of the art of custom publishing and strategic marketing allow you to communicate with your targeted audience easily and effectively. 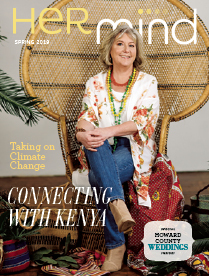 Pick up your copy at local area spas, salons, delis, gyms, libraries, doctor’s offices and at many events catering to women in Howard County. Advertise in Her Mind Magazine and Reach your Target Market, Women of Howard County! Pick up your copy at key locations including visitors and tourism centers, wineries, breweries, distilleries, hotels and restaurants throughout Maryland. 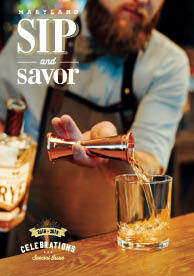 Advertise in Maryland Sip and Savor today! Join us for the 2019 Power of the Purse! Parent's Guide to Ho. Co.